Renault, one of the fastest growing automotive brands in India, made two important announcements today, reflecting Renault’s ambitions to continue to grow its presence in India. 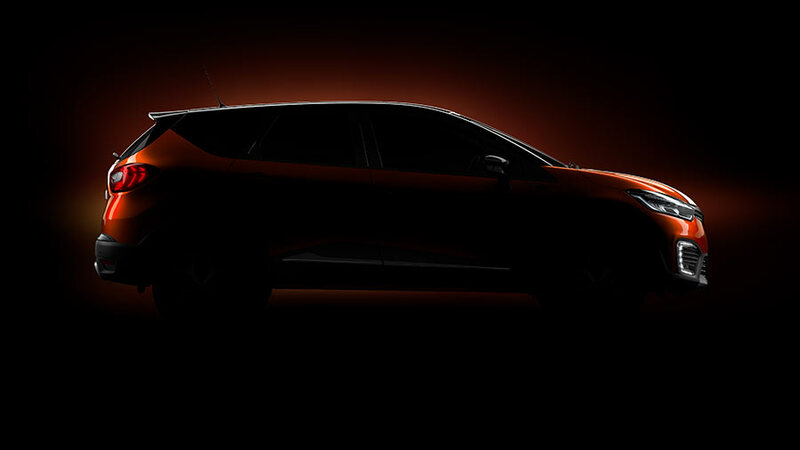 Firstly, as part of its strong product offensive strategy and commitment to breakthrough product innovations, Renault will expand its product range with the launch of its new game changer, Renault CAPTUR, a PREMIUM SUV with strong CROSSOVER DNA. India is an important market for Renault’s global growth plans and we have a thorough business strategy to grow our presence across the country. This is reflected by our strong product strategy, our rapid network expansion and fervent efforts to ensure customer delight. We have expanded our product portfolio to best suit the Indian customer and focusing on new and emerging segments to drive volumes. The SUV segment, which is amongst the fastest growing segments in the Indian automobile industry, has witnessed increasing customer attention to styling and design elements which are playing an important role in the purchase decision. We are delighted to announce that we will launch our premium feature loaded Renault CAPTUR in India this year, which has delivered global success and is widely acclaimed for its stunning design expressive design. CAPTUR has sold over a million cars worldwide and will enhance our product portfolio as we aim to grow our presence in the SUV segment in India. Like all our offerings in India, there will high levels of innovation and customisation in the Renault CAPTUR that will be launched in India, to best suite the Indian customers.